F is for February, food and where the actual fork did January go? Here’s a taste of what’s coming over the next few months, with a strong focus on fresh eats, and an equally strong boozy bubble tea in the works. Bless you, Brisbane. Brisbane’s infamous Reddacliff Place markets are coming back bigger and better (and more under new management) than ever. 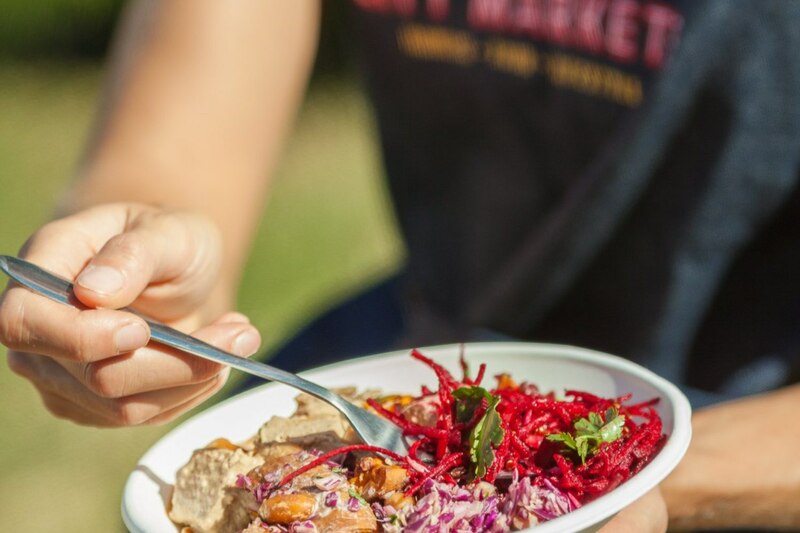 Dubbed Brisbane City Markets, the grand opening will fall on February 6, bringing more than 80 of South East Queensland’s most ethical and eco-friendly vendors to one convenient location. Take a trip to the farm without having to leave the city and pay a visit to a range of artisan bakers, fishmongers, butchers, chefs, beekeepers, cooks, and florists, with live entertainment and ready-to-eat treats on the regular. Fresh. New year, new chef. Brisbane Exhibition Centre is adding some heat to their kitchen with new executive chef David Pugh. The former Restaurant Two owner is promising to bring a whole new world of flavour to your next function, curating new menu offerings including the likes of sand crab with macadamia milk, sea vegetables and avocado, and compressed pineapple with finger lime, mint and ginger. Guess your wedding reception is gonna be a banger. Come up to the lab and see what’s on the slab. Bakery Lane’s Botanical Lab is expanding… with booze! A new bar will be set up at the spiritual tea shop over the next few months, all depending on when owner Linda Lee’s liquor licence will be approved (Godspeed). Alcoholic bubble tea will be the signature sip, using locally sourced fruit and in-house tea to create unique tastes worth coming back for. Put the kettle on, mama’s ready for some tea. Iron Chef, heart of gold. Japanese TV star Hiroyuki Sakai is gracing our shores on March 8 and 9, and teaming up with three other acclaimed chefs, to serve two unforgettable dinners. Hope Island’s Ramada Hope Harbour will host two six-course degustations with wine pairings, with diners watching a live stream of the kitchen whilst chefs and other foodie experts provide commentary throughout the evening. More details and tickets can be found here.